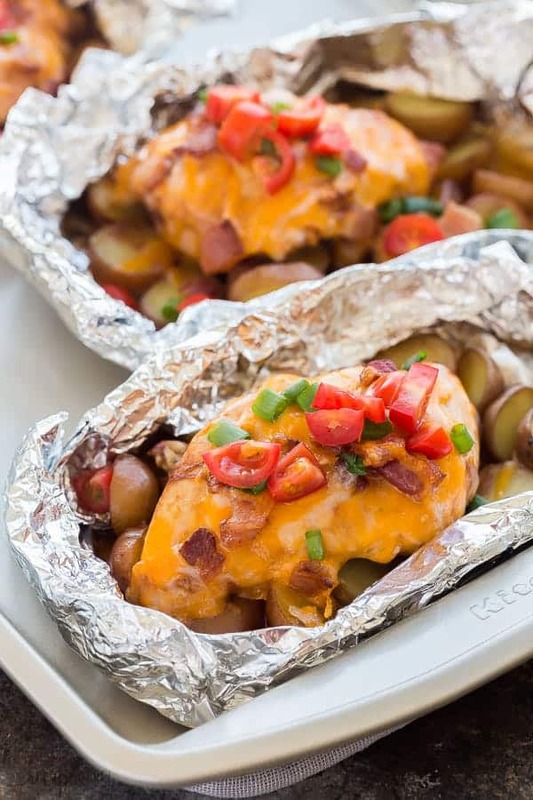 These Easy Monterey Chicken Foil Packets are the perfect easy dinner recipe for summer! 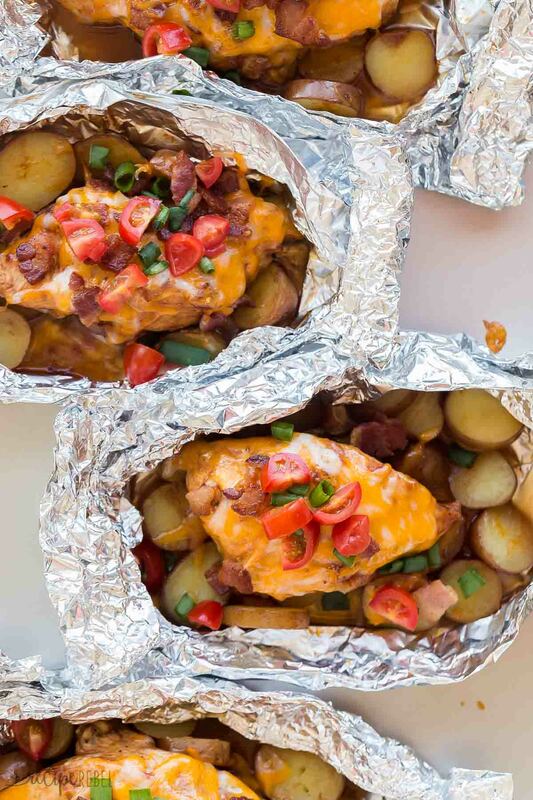 You can make them in the oven or on the grill -- an easy camping meal! 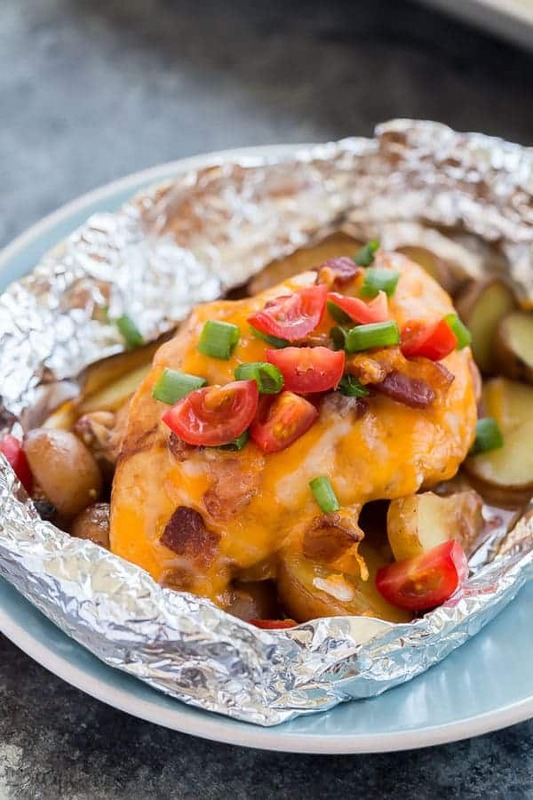 Sliced potatoes and vegetables topped with chicken breasts, barbecue sauce, cheese and bacon -- how can you go wrong?? Could you make this ahead of time and freeze for later use? Oooh, that is an interesting thought! I’ve never tried that! I don’t usually freeze veggies before cooking as the texture can be weird sometimes, but the chicken with the marinade should work fine? Since I don’t like potatoes, what would be a good veggie substitute? You can use anything you like as long as it cooks approximately the same time as the chicken. Carrots would be similar, or mushrooms, zucchini or peppers would be good but may cook more quickly and be quite tender.